Grand multi diamond eternity ring. 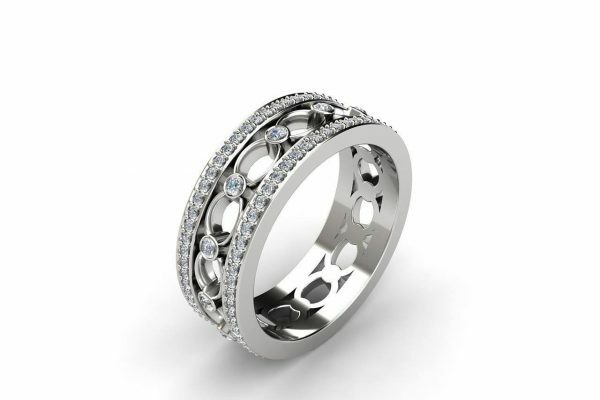 This beautiful regal band is made with 18k white gold and over 50 round cut diamonds. The band is highly detailed with delicate beading on each diamond and unusual metal work. The ring has a central chain look row which consists of larger diamonds between links of white gold. On either side two rows filled with brilliant diamonds. 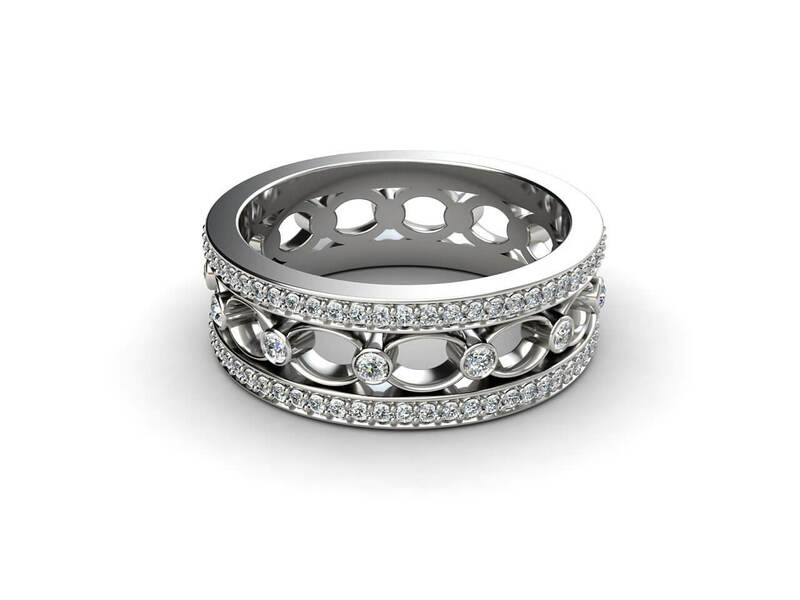 This contemporary ring is designed by Joseph George and can be altered to suit your taste. This white gold eternity ring can be created from platinum, yellow gold or rose gold. Contact Joseph to find out more.